1080p on a budget. 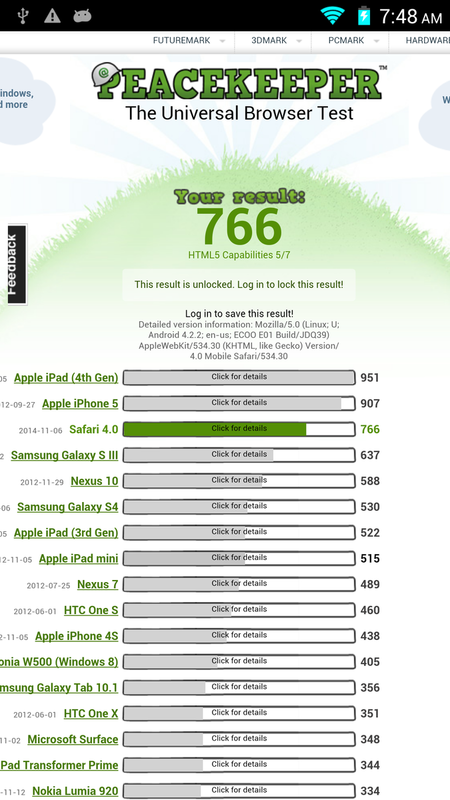 A 5.2-inch FullHD LG display with a higher PPI than an Apple Retina display on a Chinese smartphone for less than $150? It's a mouthful, but the bottom line is that the Focus E01 offers one of the best and brightest 1080p displays for the inexpensive asking price. 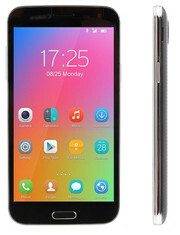 Marketed as one of the least expensive 1080p smartphones currently available, the Ecoo Focus E01 delivers an octa-core 1.7 GHz Mediatek processor with integrated quad-core Mali-450 MP4 graphics, 8 GB internal SSD with microSD support, removable battery, and dual SIM slots in addition to its large 5.2-inch IPS screen. 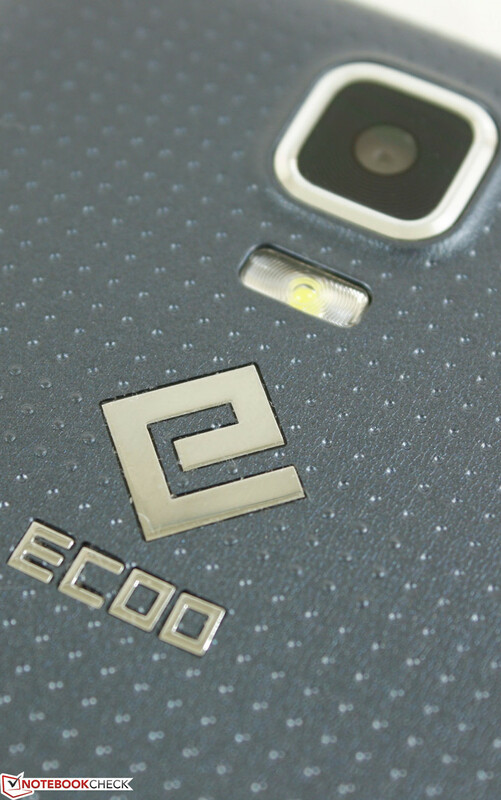 Chinese manufacturer Ecoo is also promising an update from Jelly Bean to KitKat sometime in the future according to the official Facebook page, which is uncommon for inexpensive international smartphones. 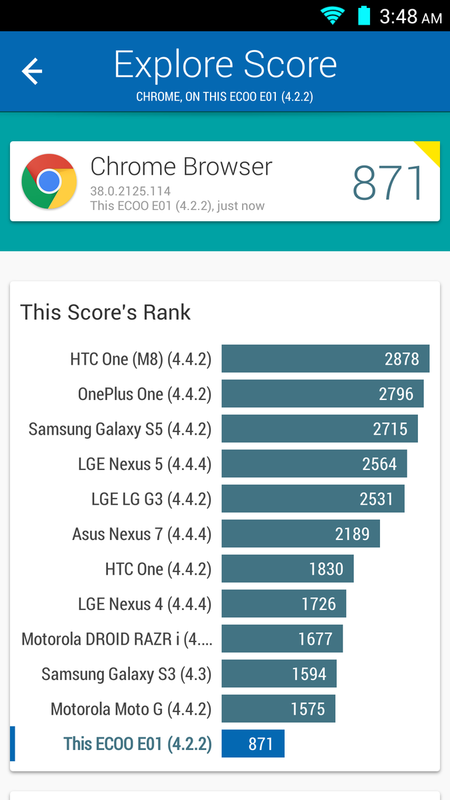 The specs sound great on paper, but does the phone deliver on general day-to-day performance? As usual, we dig in deeper to cover the hardware and to provide the hard numbers in this review with a few comparisons to other 5-inch smartphones currently in the market. The Focus E01 takes ques brazenly from Samsung's latest flagship. 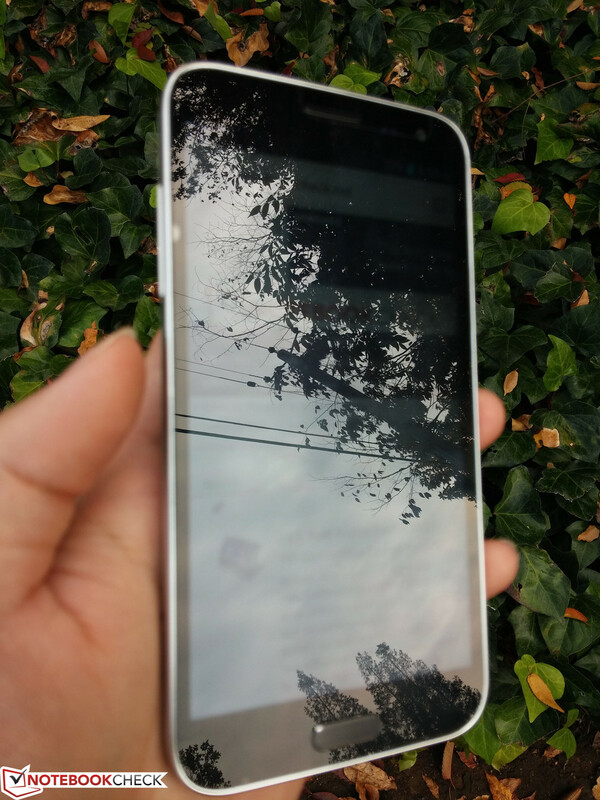 A quick glance at the front or back sides of the device and viewers will almost surely make the connection between the two smartphones. 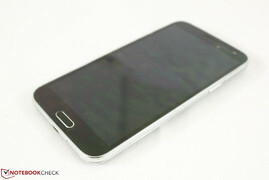 Unlike the Vphone I6 and the iPhone 6, however, the Focus E01 is not quite the faithful reproduction of the Galaxy S5 as it is noticeably longer and wider in length and width with different connectivity options around the edges. 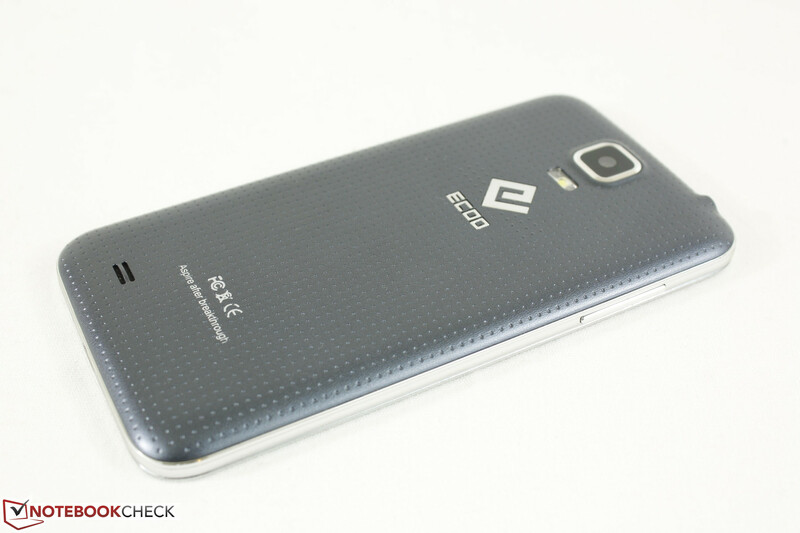 In fact, the Ecoo is quite large compared to other more popular 5-inch phones including the LG G2, Nexus 5, and HTC One M8. Its 8 mm thickness may be standard, but its bigger face makes one-handed operation more exclusive to users with larger hands. 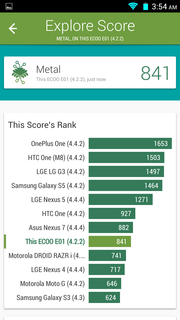 This is largely attributed to the dedicated Settings and Back touch buttons near the bottom of the device instead of the usual soft onscreen buttons that are common on most newer Androids. Construction is entirely plastic from its glossy front to its chrome edges and corners and textured back cover. The chrome perimeter feels thick on its own, so twisting, bending, and creaking are at a minimum. There is no protective glass cover as applying pressure on the display will produce a rainbow of colors across most of the screen and the device is certainly not dust or water resistant like the smartphone it is trying to emulate. Nonetheless, quality is surprisingly solid for the price. 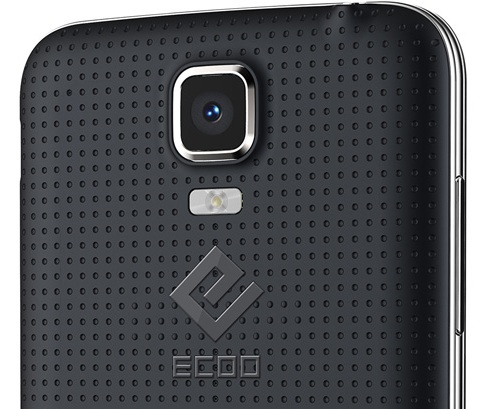 From a visual or design standpoint, the Ecoo is by-the-numbers and nothing special. It is borderline unattractive due to its larger size and edges that make the device appear thicker than it really is. Especially when compared to the fantastic industrial design of the HTC One M8 or clean chassis of the Nexus 5, the Focus E01 is a bit more of an eyesore. Physical connectivity options include the usual micro-USB 2.0 port and 3.5 mm audio jack. 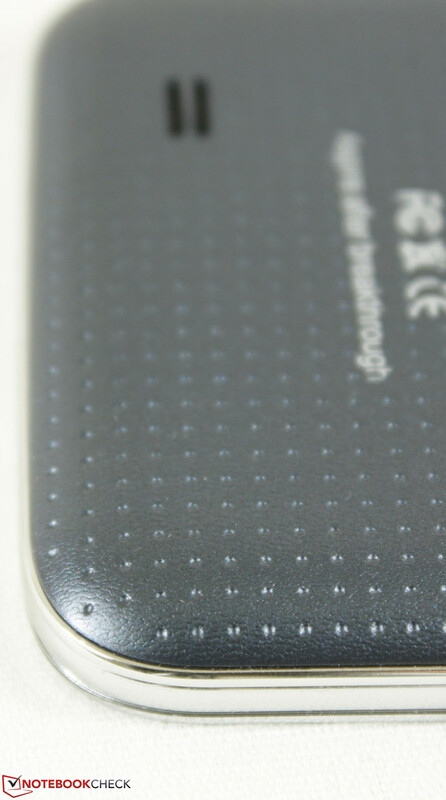 Like the Galaxy S5, a microSD slot is hidden behind the the back cover. We tested USB OTG with an external flash drive and the Ecoo was able to recognize the drive almost immediately. However, users may be prompted to format the drive if it is using the NTFS file system. Otherwise, generic mice and keyboards work on-the-fly at the basic level with no issues. Wireless connections include 802.11 b/g/n, Bluetooth 4.0, Miracast, and GPS. 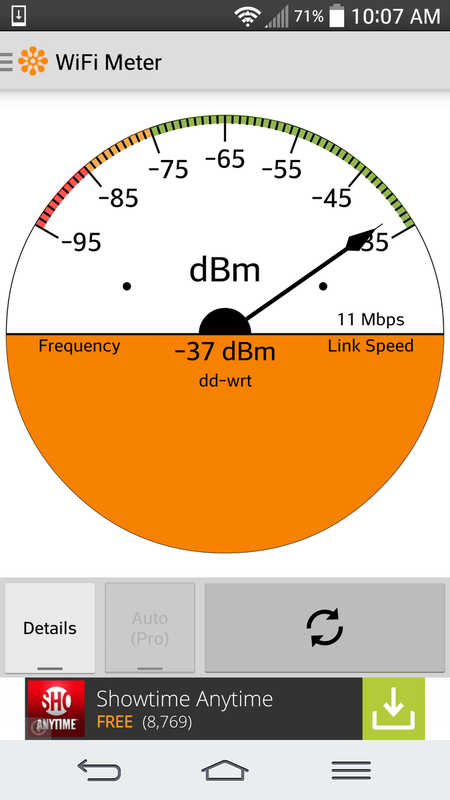 Maintaining a connection to a home wireless-n network is a non-issue with no random drops or signal loss, including connections to other Bluetooth devices. 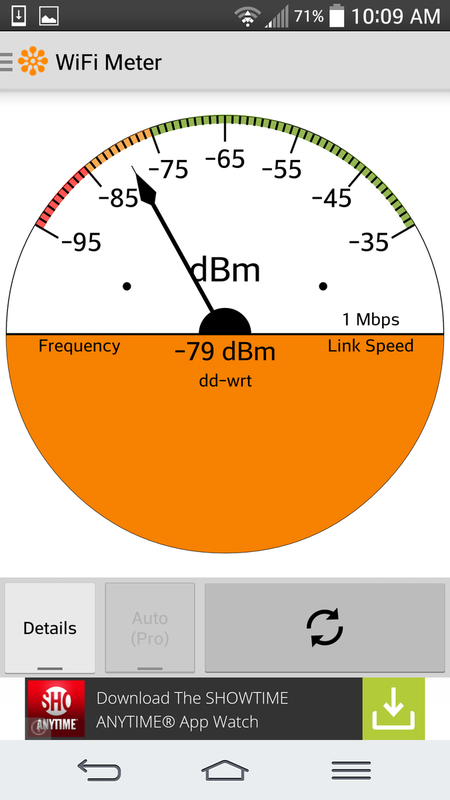 The WLAN radio is a bit weaker than that in the LG G2, however, as the Focus E01 struggles to maintain a connection beyond 30 meters from the source while the G2 is still relatively stable. The retailer also lists NFC support for the Focus E01, but we were unable to activate the feature or locate any options to do so. 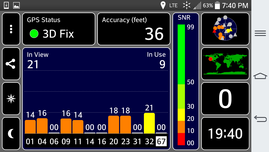 Similarly, we have had no luck with the GPS radio on the Ecoo. 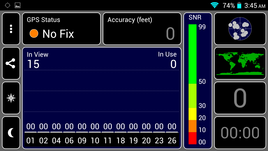 While the device can locate satellites according to GPS Test, it is unable to initiate any connections for a TTFF even with AGPS support and after waiting for half an hour. 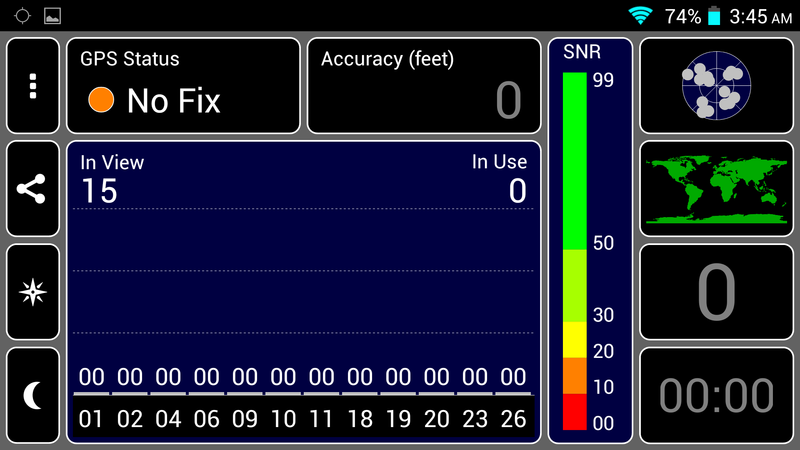 Meanwhile, our LG G2 was able to establish a connection within seconds to almost a dozen satellites. 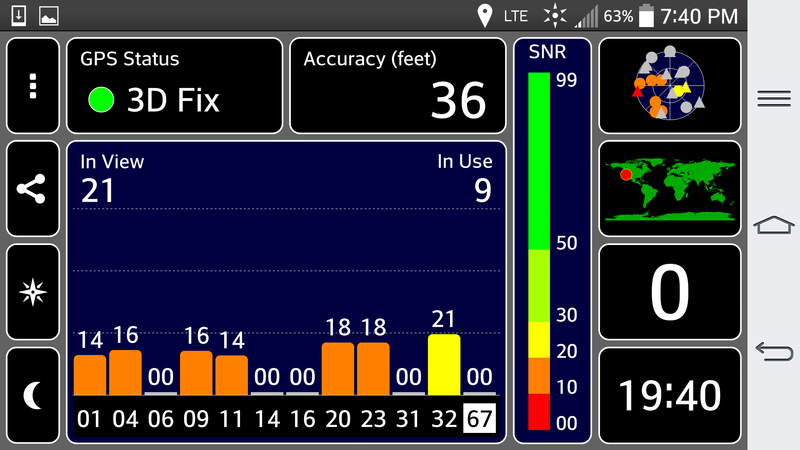 We were either unlucky with the GPS or the module in our particular test model is defective. Nonetheless, we will certainly try again in the near future and update this section should we establish a successful connection. Connection to AT&T towers is stable as far as typical AT&T phones go. 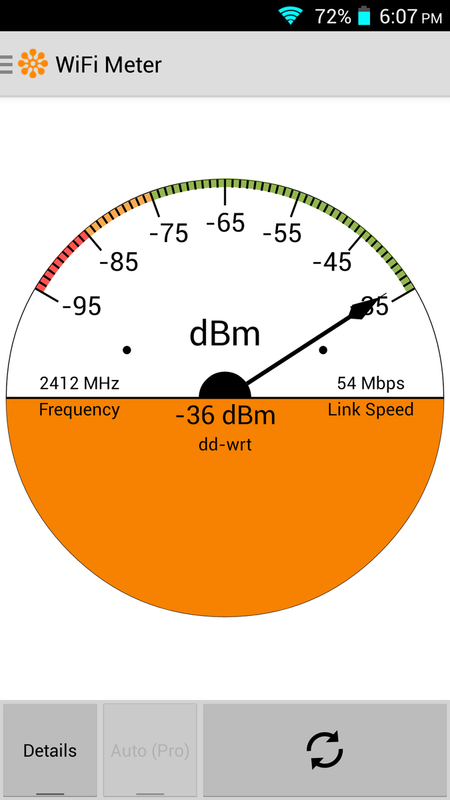 Like most Chinese smartphones or clones, 4G FDD support is nonexistent on the Focus E01 and is instead limited to 2G on GSM (850/900/1800/1900) and WCDMA (850/ 2100MHz) networks. 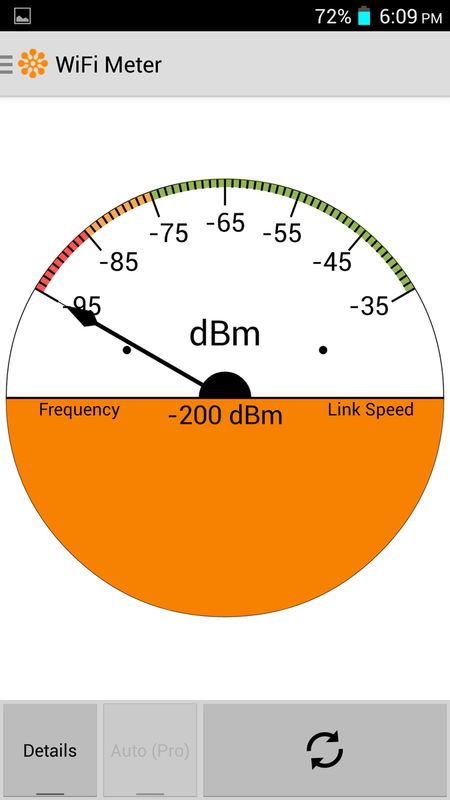 3G may also not be available for all major U.S. carriers as the 1900 MHz band must be supported for both GSM and WCDMA networks. 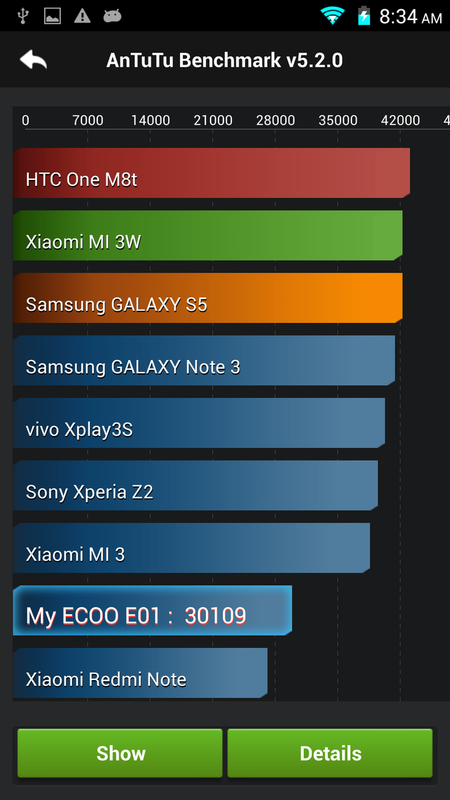 Thus, the Ecoo is not intended for heavy data users. Nonetheless, the device supports dual SIM cards (SIM and micro SIM), which makes this particularly appealing to frequent travelers or business users. Call quality is good as both ends sound loud and clear during our tests. 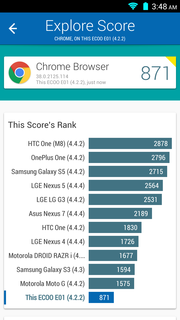 It is certainly better than the recently reviewed Vphone I6 where voices are more muffled. We experienced no unexpected dropped calls during a handful of 5-minute sessions. The rear 8 MP camera takes acceptable pictures, but are a bit blurrier than expected from an 8 MP camera even when under ideal outdoor lighting conditions. 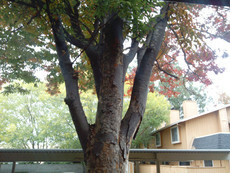 Indoor lighting appears insufficient as pictures will see a large increase in noise. 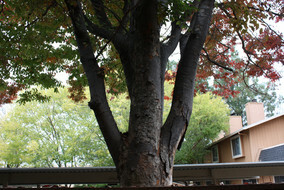 Colors appear more washed out and overexposed, though pictures do not seem to suffer from the purple fringing effect that is common on very cheap cameras. 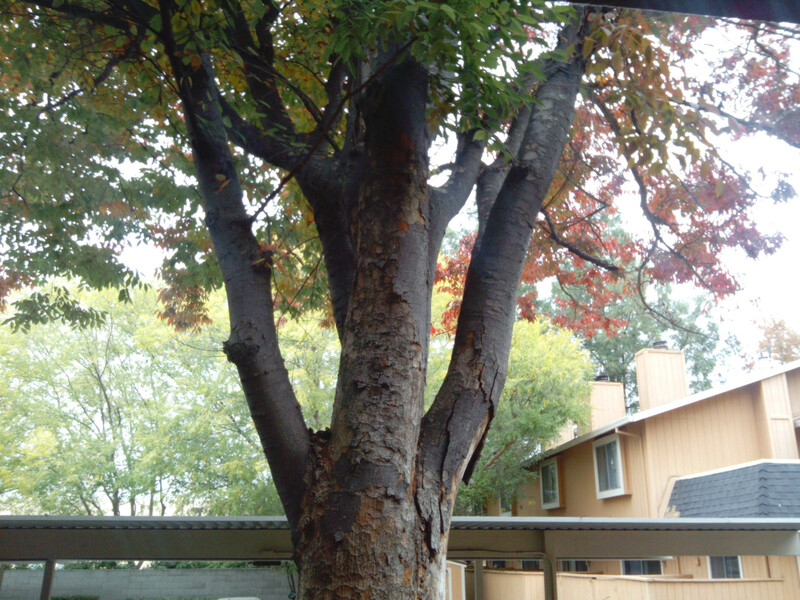 Likewise, the front 2 MP camera takes blurry photos as well, but they appear much darker under the same conditions. This makes voice chats a bit more difficult as more ambient lighting is required for improved quality. 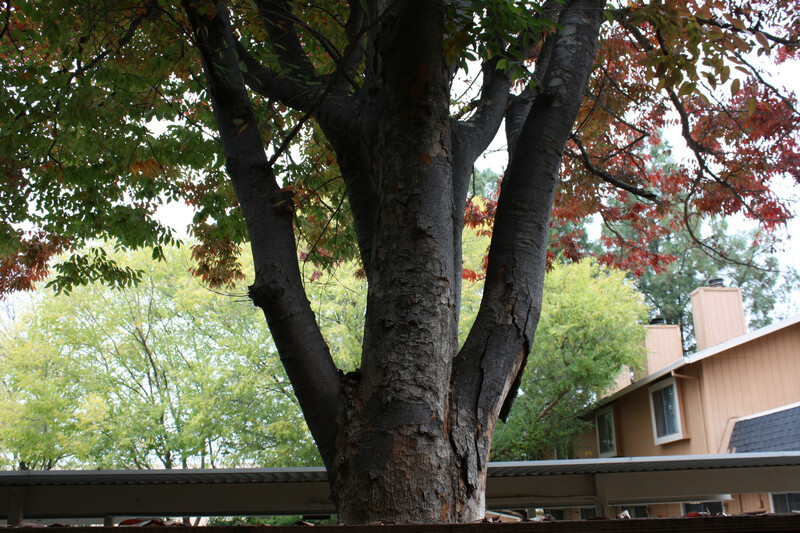 The camera app offers a healthy amount of options including Flash, face detection, HDR, panorama, geo-tagging, anti-flicker, and ISO settings from 100 up to 1600. As expected, the camera Flash is very weak and is generally more useful as a handy flashlight. Captured videos are limited to 720p on the rear camera. Quality is subpar and even worse when objects are moving or when panning the camera. Blurring occurs too easily and videos are fuzzy in general. 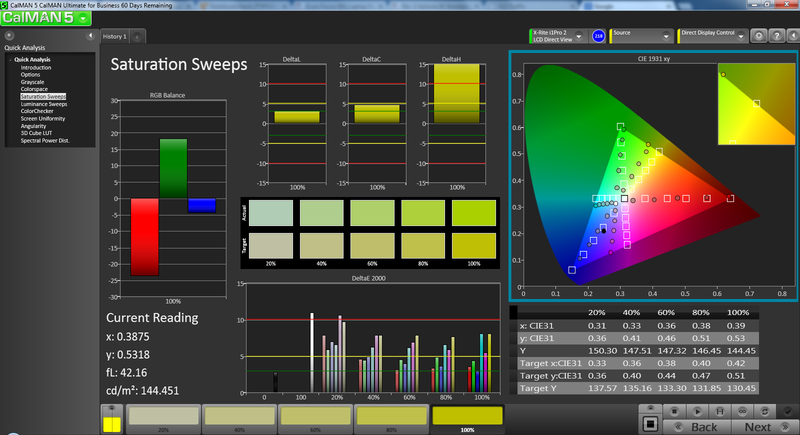 The 5-finger capacitive touchscreen registers inputs reliably and accurately. 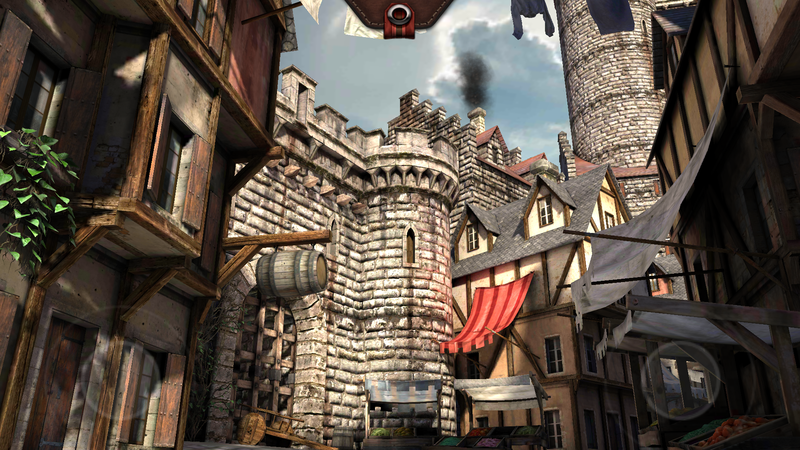 The onscreen response can be delayed at times, however, due to slow loading and skipped frames. For example, sliding left and right across the homescreen menu of apps can have small hiccups every once in a while if there are numerous running background apps. A similar delay can be felt when pressing the Home button or touch-typing on the keyboard. The latency is hard to ignore if the user is accustomed to the high performance and immediate responses of high-end smartphones and tablets. The standard default keyboard is the basic Android fare with predictive typing, auto-correction, and speech-to-text. 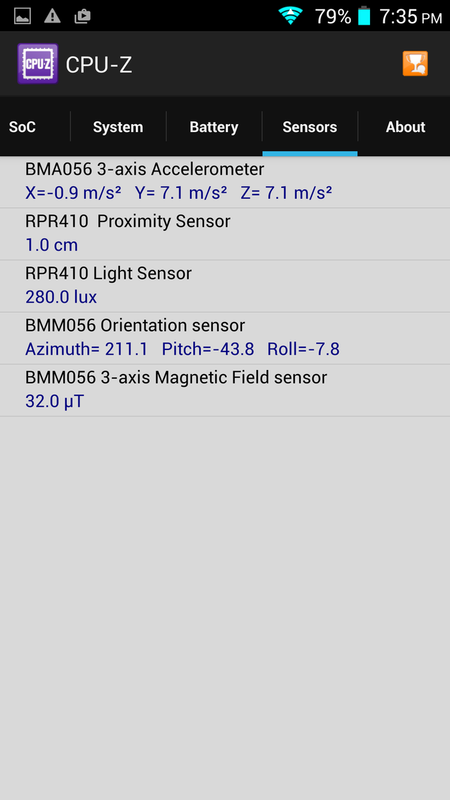 A Chinese keyboard is pre-loaded as well with the expected Android keyboard settings like vibrate and sound on keypress. Swype, however, must be installed by the end user. Like certain Samsung models, the Focus E01 supports touch-free gestures for very simple commands. Waving a hand over the ambient light sensor will swipe the screen from left to right, which will advance one page on the homescreen or Gallery. Users cannot swipe in the opposite direction to fall back a page, which severely limits the usefulness of this feature. 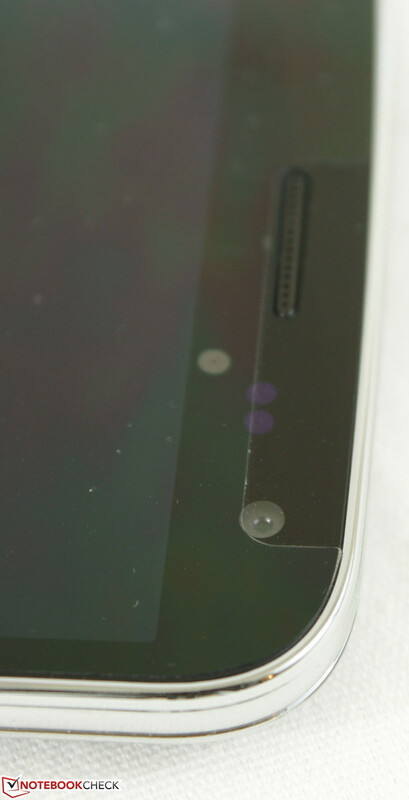 Furthermore, the user must swipe very slowly and closely for the sensor to register at all and is much more difficult in practice than simply touching the display. This is nothing more than a novelty for the manufacturer to check off on their list of features. The star of the show is the 5.2-inch 1080p display. This resolution is much higher than competing devices in the same price range where sub 720p displays are much more common. 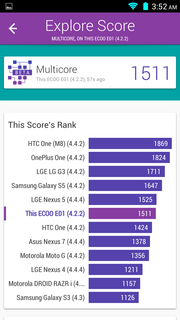 Its density of 423 PPI matches that of the LG G2, which is at least twice the price of the Ecoo or even more during its launch. 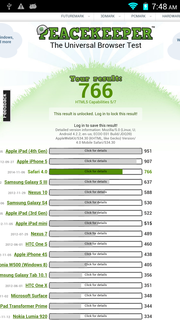 The iPhone 6 and its "Retina" screen comes in at around 100 PPI less than the Ecoo. Subjectively, display quality is excellent as images and small font sizes appear very clean and easy to read. 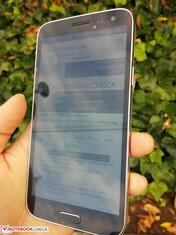 Note that nearly the entire screen is usable for apps as there are no onscreen Back, Home, and Settings buttons to take up a portion of the bottom edge. This makes browsing that much more pleasant due to the additional screen real estate. Additionally, its maximum brightness of almost 400 nits is very high for a budget device. Even more recent and expensive competitors like the Moto G2 clock in at just around 350 nits while the Lumia 830 edges out the Ecoo by only 20 or 30 nits. Similarly, contrast is very good at around 550:1 and this is clearly an IPS panel as opposed to the AMOLED panel that Samsung trumpets for most of their Galaxy models. 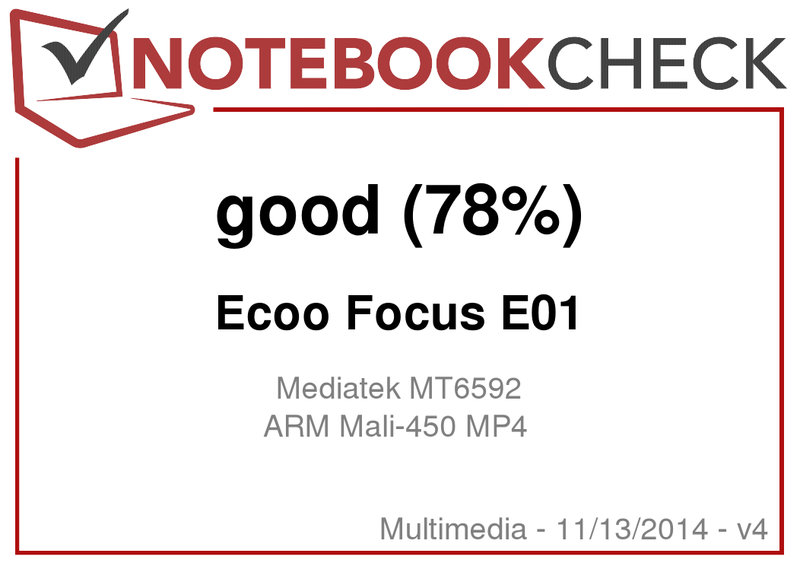 Ecoo claims to have made a deal with LG to provide the panels for the Focus E01 and the results are certainly impressive. 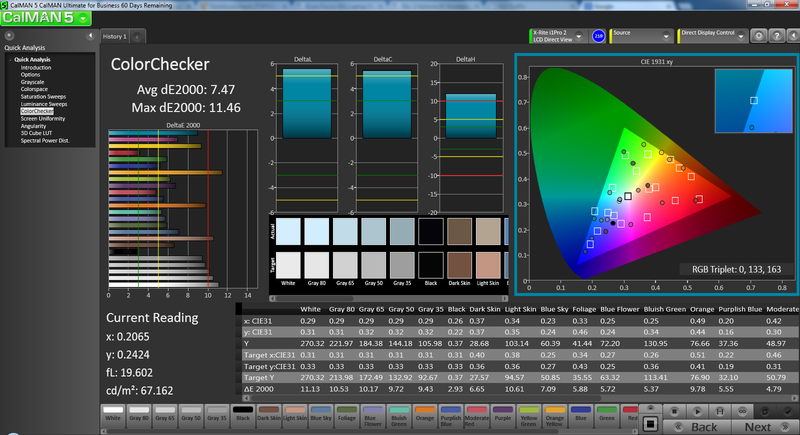 Color accuracy is above average, but not great. 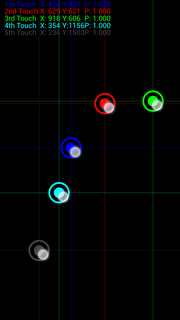 Colors do become more accurate as saturation increases, but colors like Yellow, Cyan, and Magenta (coincidentally all secondary colors) could use improvement overall. 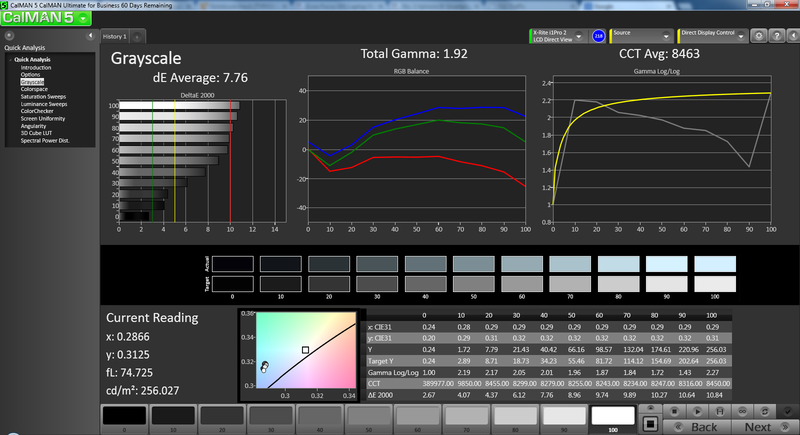 Gamma, color accuracy, and especially grayscale are simply not as good as the Galaxy S5 according to our measurements with an X-Rite i1Pro Basic 2 spectrophotometer. Of course, color reproduction is generally unimportant on smartphones and users can still enjoy colorful videos and photos on the Ecoo without fear of significantly crushed blacks or muddy grays. Outdoor usability is good despite the glossy screen. Maximum screen brightness is highly recommended for best visibility and is essentially required when working under direct sunlight. 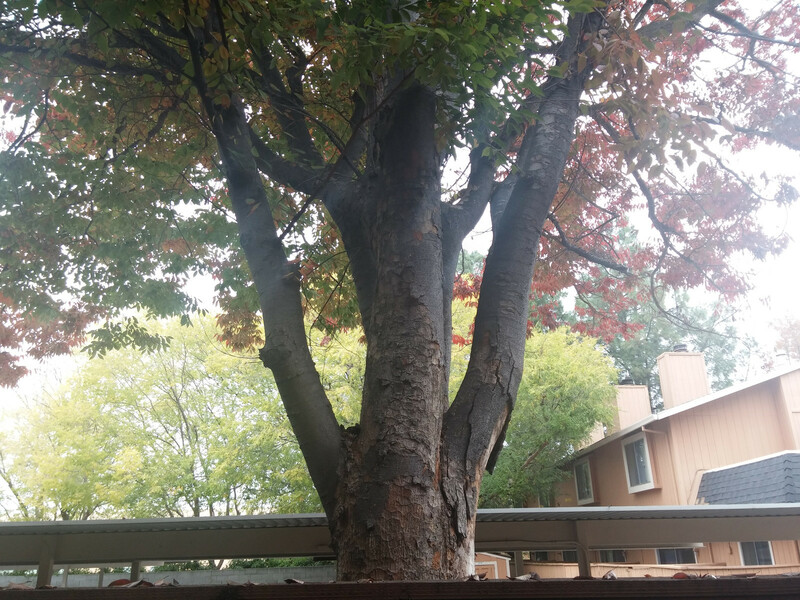 On an overcast day, we had no issues using the device with no squinting necessary as long as most of the glare can be avoided. Viewing angles are excellent due to the IPS panel. 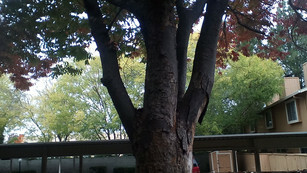 Apparent brightness will decrease if viewing from an angle at either orientation, but this is common on smartphones, tablets, and notebooks alike with IPS displays. 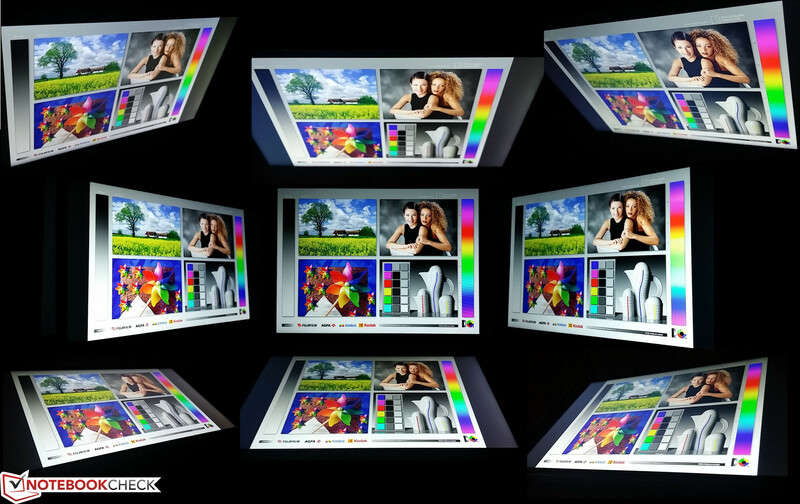 Sharing the Focus E01 with adjacent viewers is painless and made even easier by the large display. "Octa-core" may sound impressive, but they are often outperformed by modern quad- and dual-core SoCs in single-threaded operations. Very few applications are optimized for eight cores as well, which further reduces the advantages of having a high raw number of cores. Nonetheless, the 1.7 GHz octa-core Mediatek MT6592 is a relatively new mid-range Cortex-A7 SoC with a 4K video decoder and an integrated 700 MHz Mali-450 MP4 GPU that is just slightly better than the Tegra 3. RAM is standard for a budget smartphone at 1 GB. The Moto G2 and Lumia 830 also carry 1 GB RAM, but offer only 720p displays. We can't help but feel that the Focus E01 could have benefited from more RAM, especially because of its more demanding 1080p display. 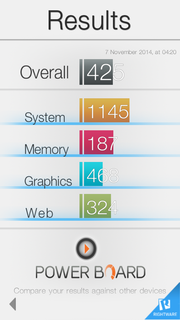 Linpack shows raw CPU performance above that of the Galaxy S5 Mini, but still far below the Snapdragon 400 in the Galaxy S4 Mini and Snapdragon 801 in the HTC One M8. 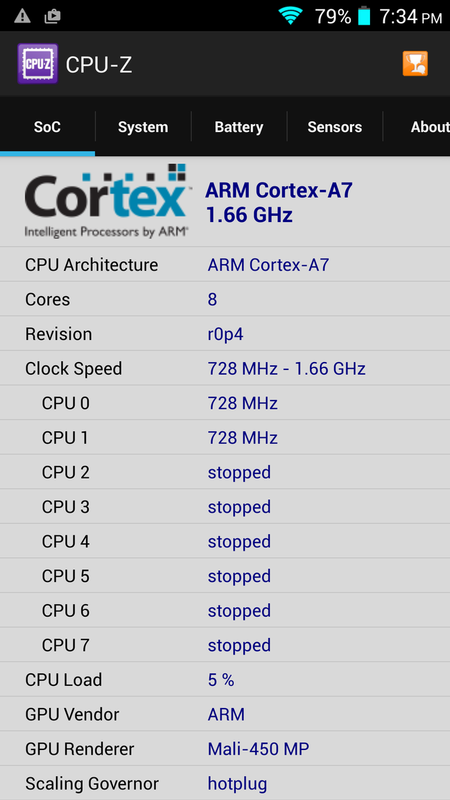 According to CPU-Z, the processor will normally idle at 728 MHz with just one active core, but more cores will quickly become active up to 1.66 GHz when there is onscreen activity. Very rarely are more than four cores active unless if there is heavy multitasking or intensive tasks. 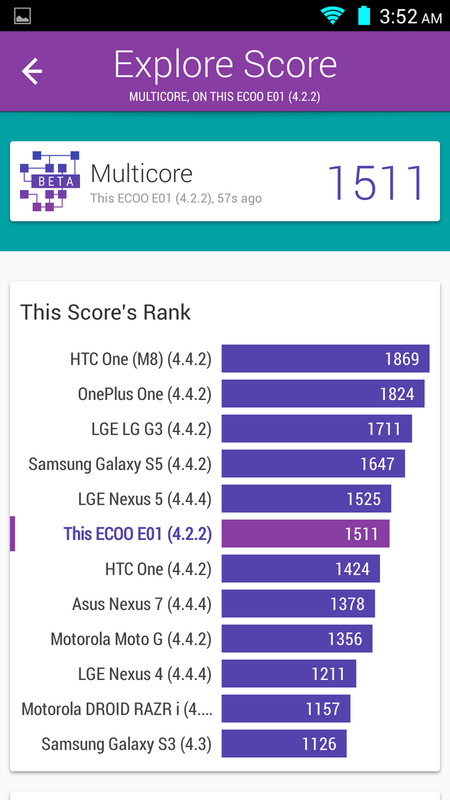 The Mediatek MT6592 generally loses out to the high-end Snapdragon 801 according to the benchmarks below, but it trades blows quite well with older Samsung Galaxy devices like the S5 Mini, S Duos 2 and budget Core LTE. Subjectively, system performance is slow. Launching and exiting applications have noticeable onscreen delays as does typing with the onscreen keyboard. As mentioned earlier, pressing Home can sometimes take several seconds for the application to close and for the homescreen icons to appear. Scrolling through webpages on Chrome is also simply not as smooth as competing devices with more powerful SoCs. These latency issues are compounded when multitasking or inputting commands in quick succession. It feels as if the hardware underneath is unable to keep up with the high demands of the screen. The integrated 8 GB SSD is very small as only about 6.2 GB is available to the end user from the get-go. This is enough for just a few HD videos or 3D titles from the Play Market or a handful of music files. Fortunately, microSD cards can be installed on the rear of the device up to 64 GB, so the small internal storage capacity is a non-issue. The integrated quad-core Mali-450 MP4 is a mid-range GPU that can also be found on a number of Huawei and Archos smartphones like the Ascend P7 and 50C Oxygen, respectively. It is starting to show its age, however, as the graphics core is incompatible with OpenGL ES 3.0 and will thus not be able to play the latest titles with all graphical features enabled. Regardless, intensive 3D games on the Play market will play without issues. 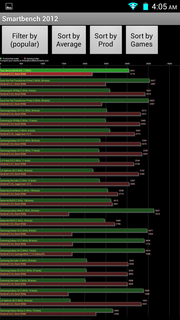 Frame rates could have been better, especially on N.O.V.A. 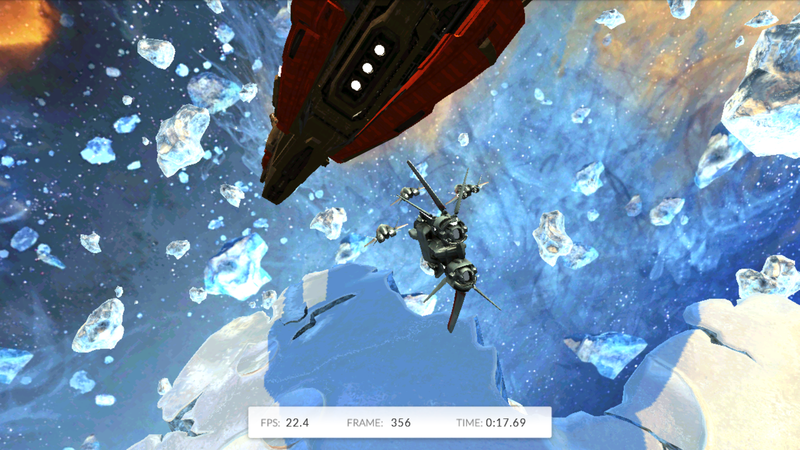 3, and 3DMark Ice Storm in particular ranges wildly from 20 to 40 FPS. Sprite-based and 2D sidescrollers, of course, will play silky smooth. Surface temperatures during regular use remain relatively cool throughout the unit at about 30 degrees C on the front and back. Note that the side of the device closest to the earpiece and rear camera heats up much more quickly than the opposing corner. When running at maximum load for over an hour with StabilityTest 2.5, we were able to record a high surface temperature of over 44 degrees C. This is unrepresentative of real world use, however, so uncomfortable surface temperatures are not an issue. Using the phone in its default portrait orientation will put the user's hand away from the hot spot surfaces. (-) The average temperature of the palmrest area of similar devices was 29.1 °C / 84.4 F (-12.5 °C / -22.5 F). The speakerphone on the back of the device produces good quality sound, or at least better than what many would expect from such an inexpensive smartphone. Volume is loud and clear with no significant static and sounds do not suffer from the shallow "tinny" quality that is common amongst many cheap laptops and budget smartphones. 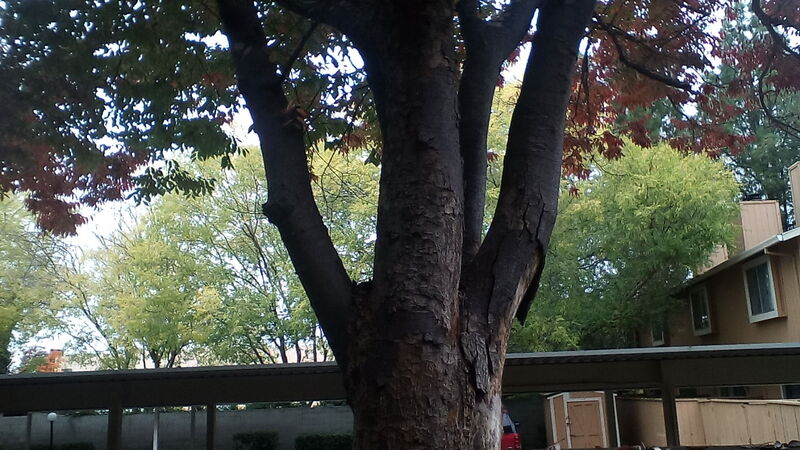 The positioning of the grilles does make ithem easy to cover up when holding the device in landscape mode, however. For extended use, 3.5 mm external solutions are available with FM radio options. 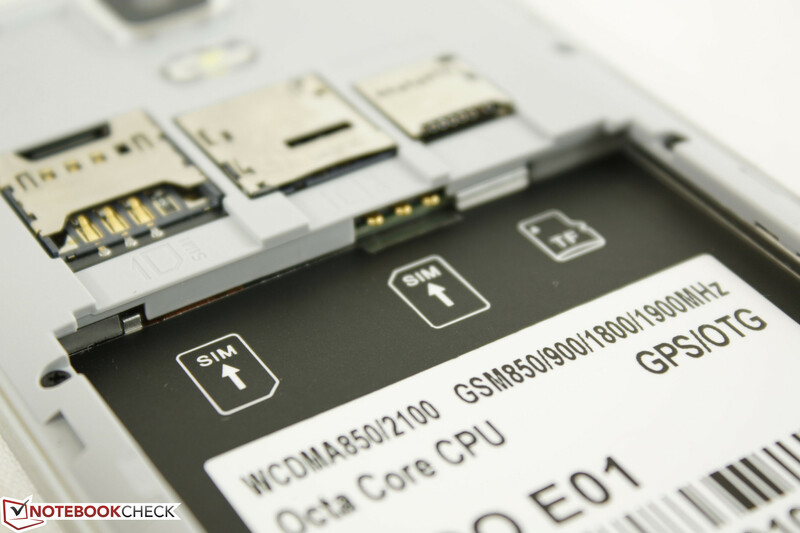 The Focus E01 utilizes a removable 2450 mAh (3.7 V) Li-ion polymer battery behind the rear cover. Battery capacity is slightly larger than a few other 5-inch smartphones like the iOcean X7 (2000 mAh) and Nokia Lumia 830 (2200 mAh), but not nearly as high as the 3000 mAh battery packs found on both the LG G2 and G3. The 5-inch iOcean X7S, which uses the same Mediatek SoC as as the Ecoo, houses a smaller 2000 mAh module. Runtimes for the Focus E01 are average. 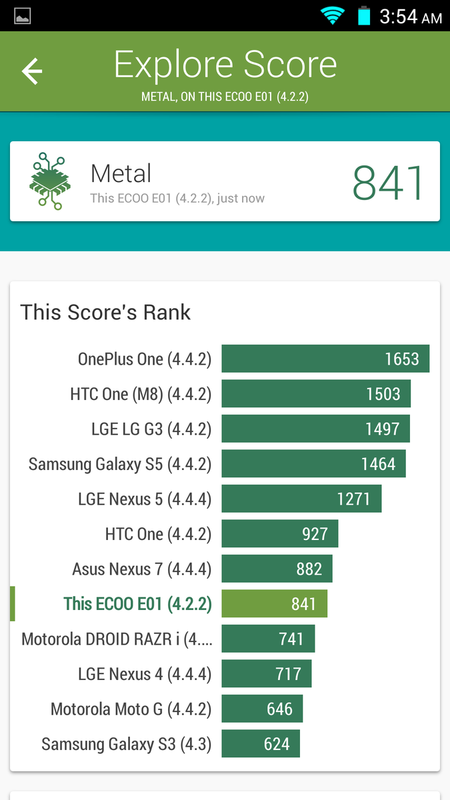 Compared to more well-known 5-inch devices, the Ecoo falls below the LG G2, Nexus 5, HTC One M8 and other high-end Snapdragon-equipped smartphones. 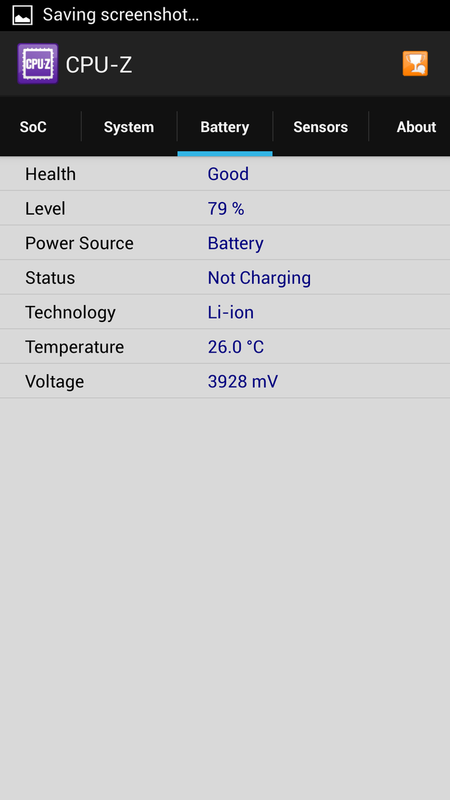 Runtimes are also slightly less than the similarly equipped iOcean X7S despite having a larger battery capacity. 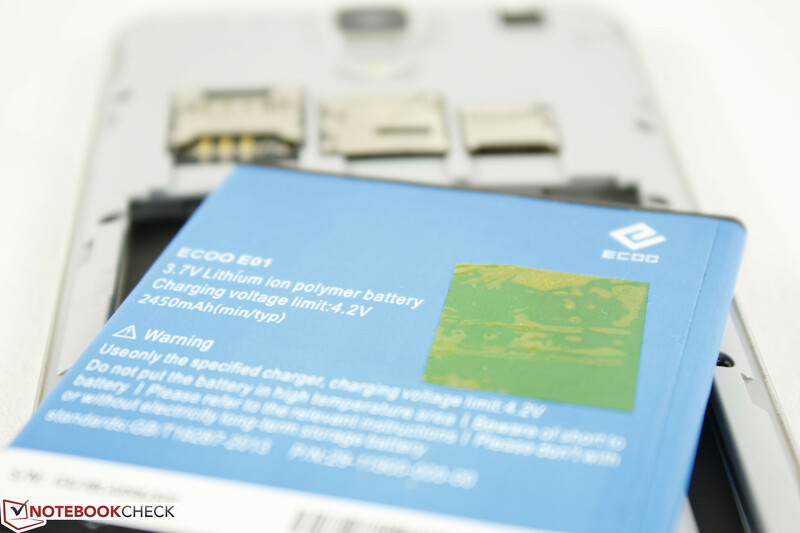 However, at slightly over 5.5 hours of constant use at 150 nits display brightness (30 percent setting), the Ecoo should be able to hold its own for a good work day before needing to recharge. 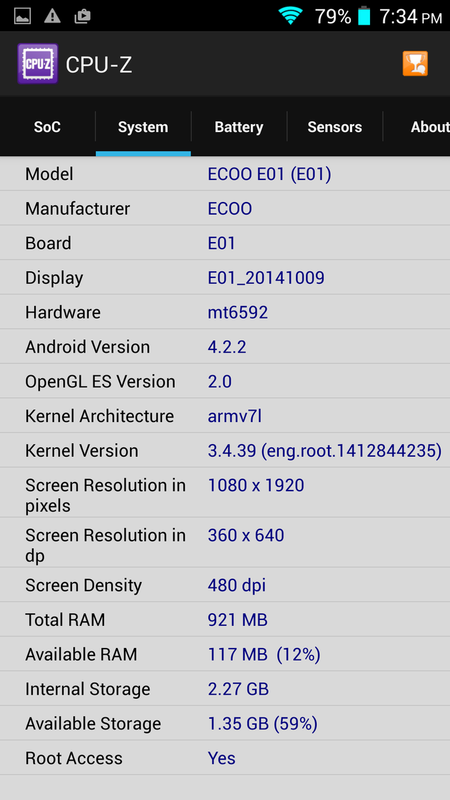 The Ecoo Focus E01 delivers on its promise of an impressive 5.2-inch 1080p IPS LG display, especially for the low price of $150 at Coolicool.com. The screen is also very bright and even brighter than many other 5-inch smartphones that are more expensive than the Ecoo. This is certainly the highlight of the device as the display here is almost guaranteed to satisfy buyers wanting a large and bright FullHD smartphone on the cheap. Build quality is also good as far as plastic cases go. Some corners have to be cut, of course, including the average cameras, average battery life, lack of 4G support, and low internal storage. 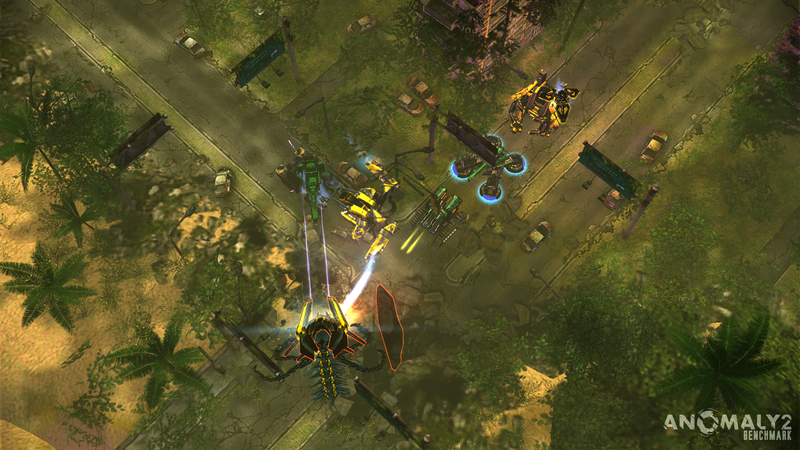 Its slow system performance is perhaps the worst offender as it does not do the 1080p screen justice. Hopefully the promised KitKit update will address some of the latency issues during day-to-day use or even the weak GPS radio. The positives do outweigh a handful of the negatives as we are fans of removable batteries, microSD support, and dual SIM slots. 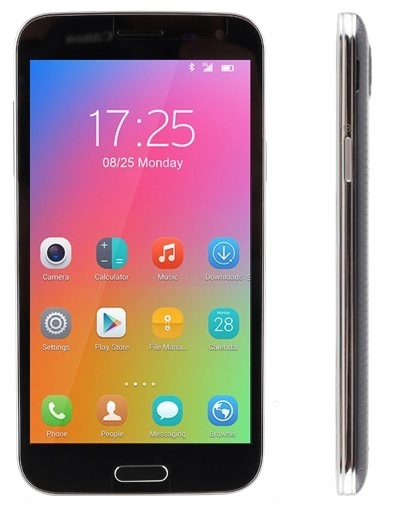 For a large cheap smartphone, the Focus E01 leaves a good impression. 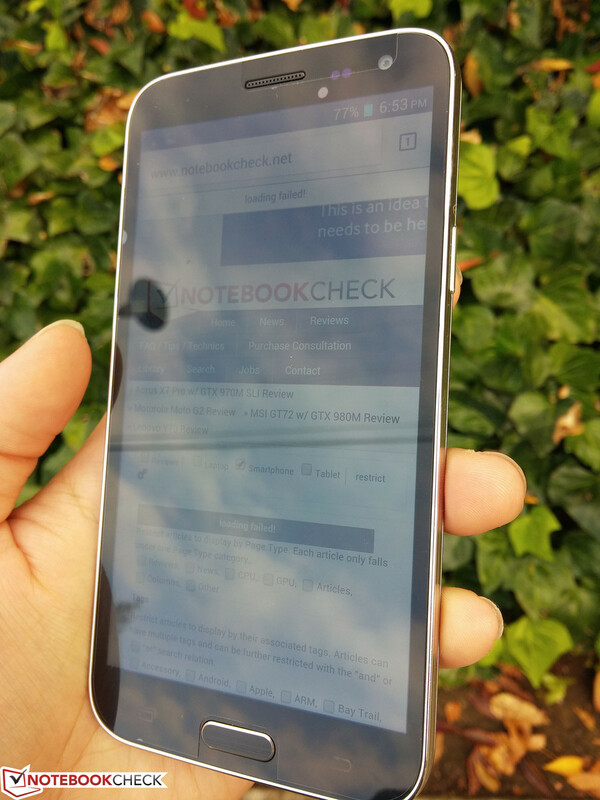 Beautiful 1080p IPS display on a smartphone for less than $150. Better system performance is a must for future models. 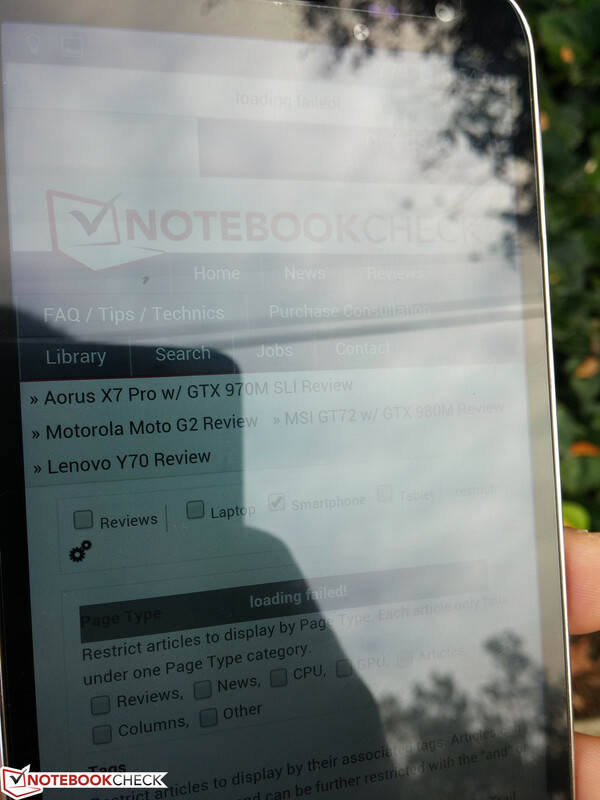 The display is extremely bright for a budget smartphone.